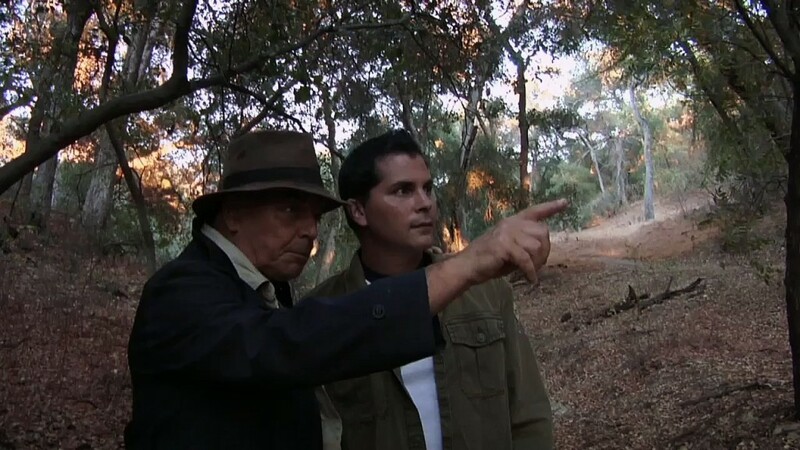 Written, directed by and starring Adam Green, this film follows Adam as he investigates an odd man named Dekker (Ray Wise), who claims that monsters are real and they are living in an elaborate world beneath us built underground– which Dekker calls “The Marrow.” Dekker also claims that he knows exactly where the entrance to this world is– behind a local cemetery, in the middle of the woods. Dekker owns several drawings, of creepy monsters he had artists draw for him, revealing that there are numerous different ‘species’ and ‘breeds’ of monsters out there. In several interviews, Dekker describes his vast experiences with the creatures including some quite disturbing ones where they went from being friendly to violent. The creepy fact that Dekker tries to convey is that the monsters are out, walking amongst us, and we may never notice them. Adam immediately feels something is off with Dekker and that perhaps the whole monster-charade was a well-played out hoax involving Dekker’s friends. Adam becomes determined to solve the mystery surrounding Dekker and The Marrow and has an instinct that this was all meant to happen. Adam then sets up various hidden cameras around The Marrow in hopes to catch Dekker in the act or perhaps see a glimpse of the monsters if they are indeed real. As more discoveries arise, and the movie takes a rather intense turn, Adam makes some bad decisions and digs just a little too deep. From there on, things become quite scary and may leave you gripping your seat. The ending was a rather fun, creepy one that leaves much room for a sequel. The film as a whole, was pretty good yet there was not as much footage of the monsters that I would have liked to have seen. A majority of the film is just interviews and talking rather than trying to build the tension up. Don’t get me wrong though– sometimes this kind of formula works for horror movies. Take for example, Lake Mungo– it’s mainly all interviews and talking yet is a truly terrifying film and makes you feel quite uncomfortable throughout it. 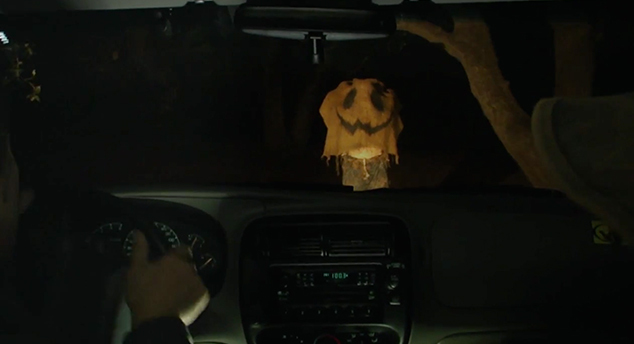 However, with Digging up the Marrow, the talking and whatnot kind of downplays the overall seriousness and creepiness of the film. I guess I would have just liked to see more tension building scenes and more scenes that would perhaps keep me up at night– because it definitely could have went down like that if the movie was just modified a bit. 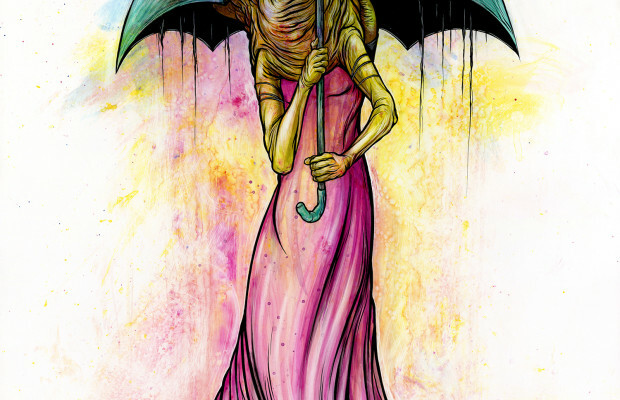 Now, the drawings were pretty awesome, and were drawn by Alex Pardee, whom is an amazing artist that can create some pretty creeptastic images. If you visit his website above, you’ll see a vast display of monsters that will please any horror art fan. Also, the special effects used in Digging up the Marrow were very effective and were pretty much designed to perfection– which is another reason why I wish there were more scenes with them. 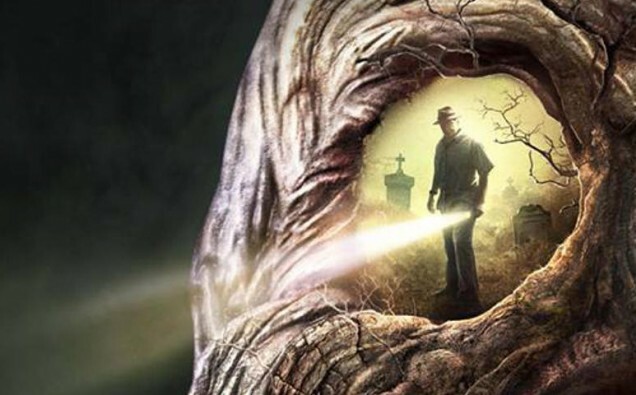 Digging up the Marrow has some great scares to it, including a few jump scares that literally freaked me out. The film had all the tools to make it truly terrifying but yet took a different direction. Don’t get me wrong though, I still enjoyed the film and would recommend it. I kind of do wish Adam would do a sequel, just so we could see more of the creatures and perhaps see them in a scarier sort of way. In any event, I give Digging up the Marrow a 3/5 for it’s creative ideas, even if they did fall a little flat and it’s engaging storyline because despite some of the weakness, it’s still overall a very entertaining film.